More than 20 years ago, Saban launched the Mighty Morphin Power Rangers, a television show about five high school kids who morph into heroes and fight evil. Well, if you grew up in the 90s you already knew all that. Since then the Power Rangers series has continued on to jungles, distant futures, and lost galaxies – which you also probably already knew – but has recently regained huge popularity among kids with the new Power Rangers Samurai and MegaForce. Although Power Rangers isn’t only making a comeback to TV, but to the big screen as well. Earlier today, Lionsgate – the film company that brought you The Hunger Games films – announced that they are partnering with Saban Brands to produce a Power Rangers Live Action Film. This would be the third Power Ranger movie, the formers being Might Morphin Power Rangers (1995) and Turbo: A Power Rangers Movie (1997) – the first was exponentially better than Turbo. Though don’t see this as a trilogy of any sort. 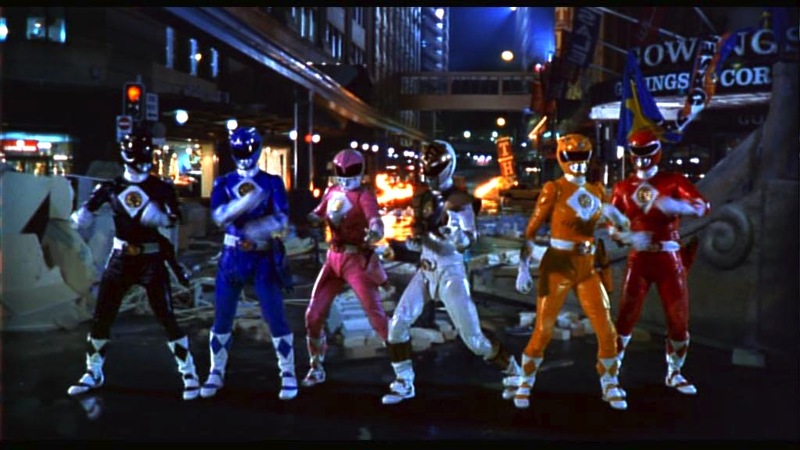 In fact, Lionsgate apparently wants to “re-envision” the original Mighty Morphin Power Rangers. Whether that means this will be a complete reboot or not remains to be seen for fans of the original series will always identify with the original cast. Jason David Frank (best known for his role as Tommy Oliver aka the original Green Ranger) has spoken at lengths on his Facebook Page about wanting to give fans the Green Ranger movie they have been hoping for. There is yet to be any set script for this new film, but a standalone Green Ranger film might be their best bet rather than recast all the original roles. JDF has an enormous fan following and dominates any conventions he makes an appearances at. Between his popularity and his martial arts skills, which he still demonstrates and teaches at his Rising Sun Karate school, Jason would prove to be a very valuable asset to Lionsgate and could even give cause to write in some more of the original team. Another important thing about this movie will be the zords, the giant mechanical animals the Rangers use to fight evil. If this is going to be a “re-envisioning” of the original series, will they remake the iconic megazord? Hopefully if they do, they do a much better job than they did in the original Mighty Morphin Power Rangers film, where they turned on of the most awesome megazords (the Ninja Falcon Megazord) into one of the most ill-formed and awkward robot I have ever seen. How do you go from this (left) to this (right). WHY????? At the end of the day, not much is know about what Lionsgate and Saban are planning on this movie to be. Will it be a tribute to the history of Power Rangers or a reboot to get new fans involved? There’s an old saying: “If it ain’t broke, don’t fix it.” The original Mighty Morphin Power Rangers is a cult classic, which many will always re-watch for sentimental value. To recast/remake such a show for a film could be awful. So stick with the talent you have Saban and Lionsgate, and bring MMPR into the 21st century – not reboot it all.